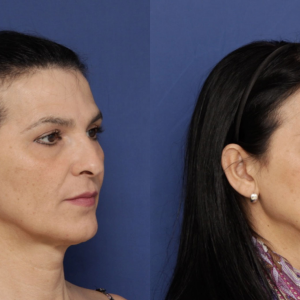 Mayra, a patient from Rio de Janeiro, had her facial feminzation surgery on March 29, 2012 with FACIAL TEAM. Over the last 3 months, she has uploaded several YouTube videos about her FFS experience. 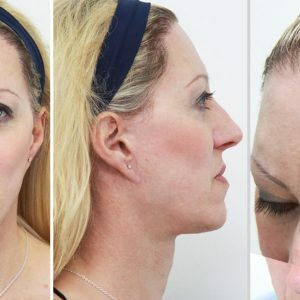 The procedures performed were: forehead reconstruction with sinus osteotomy, orbital shave, eyebrow lift, rhinoplasty, chinplasty and trachea shave. They are FACIAL TEAM, and I want to mention how I found them, what I thought about them before, during and after the surgery as well as the results of the surgical procedures. I speak of this now because it is my conviction. I recommend them and I recommend facial feminization surgery for any transwoman that wishes to feel good about herself. It is our pleasure to invite you to view a new compilation of her videos, which includes a transcription in 3 languages. Click on the “CC” button to activate the subtitles in English or Spanish. In this video, I would like to talk about my facial surgery, not regarding the actual surgery since I previously have discussed this in my other videos, but about the surgical team that carried it out. So, I found them on Google, how I look for everything in my life. The website is very thorough and includes a large quantity of photos of other women before and after facial feminisation surgery. There are also some testimonials, complete with videos like this one, which transmits a sense of security, doesn’t it? The way the surgeons treat you, the anaesthesia team, the coordinators….everyone speaks with you in a professional and objective manner, without confusing you with technical terms, but explaining exactly what will be done, why and how it will be performed. At the same time, they are all very down to earth, with a personable and sensitive approach. All the information provided, both positive and negative, is done professionally and respectfully. This is important as it helps you to feel very supported. I didn’t have much pain in the postop, in fact it is better said that I had no pain. While in the hospital, you have an I.V. with painkillers and once you return home, you are provided with a prescription for the first week. I didn’t have even minimal pain, at least in my experience. Yes, I felt a certain level of discomfort, of course. In my case, I had the forehead surgery, so couldn’t clean my hair. I had nose surgery, so couldn’t wash my face. I had chin surgery, so couldn’t move my mouth much. Lots of things like that. In the first days, I couldn’t eat too well and had to stay home initially. Therefore, the biggest problem after surgery was boredom, which is in itself not exactly a big problem. Yesterday, while we went out to celebrate Mother’s day, my Mom said: “How friendly everyone treats you wherever we go!” So I replied: “But not because they have progressed, it is because they no longer see me as trans. So with or without social progress, I am now treated as a woman. In terms of my surgical results, it is needless to say that I am obviously ecstatic, as everyone notices when I talk about it. I consider facial feminization a topic of great importance for any transgender patient, primarily because in most parts of the world there is insufficient information about our community, making it necessary for us to be recognized as women and treated us as such. If you have the opportunity to have surgery with them, despite having to sacrifice some things, don’t doubt it, I think it is very important. Why do we always want to have so many surgeries? Silicone, face, gluteus, lipo… And we always want to do it all at once, as I also do! I wanted to have breasts by now, but it is much more important to do these things well, although more slowly over time.